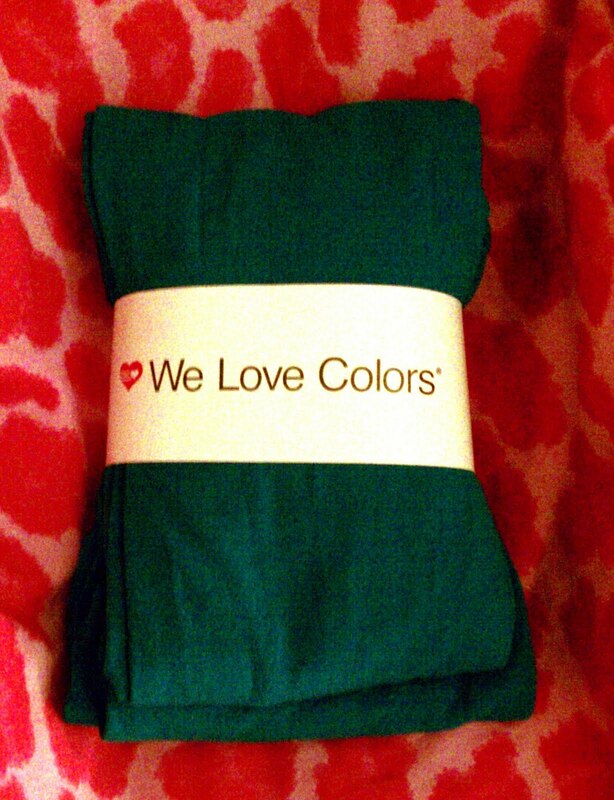 I was contacted by We Love Colors to do a review for their plus size tights. I received two pairs of tights about a week and a half ago (I'm so late with this post) in turquoise and amethyst. I'm such a girly girl, so of course I had to wear the amethyst pair first. I ordered a size EE, which was a little too big for me. I should've got the E. The tights are made of nylon and lycra, which makes them super stretchy. They are so soft and comfortable. I forgot I had the tights on all day. The outfit I wore was something a little different than my regular style. I paired the tights with a striped skirt and graphic tee both from Forever 21's plus size line and some combat boots from Torrid. Here are the turquoise tights that I received as well. I don't know if I will even wear these or maybe give them away in a contest. We'll see. You have such a cool personality, I love it. Your makeup looks fab, and I love how you paired the tights girl. You hair is so dark. I love it. Do you use dye? If so what brand? Oh and can you do a tutorial on your makeup you posted on your blog. Thanks!! I'd be interested in seeing them on though. They look like a cool color!